ROME — A 2,000-year-old building where Roman gladiators in Pompeii trained for combat has opened to the public eight years after its collapse following rainfall. The Pompeii archaeological site said the public can tour the Schola Armaturarum on Thursdays. 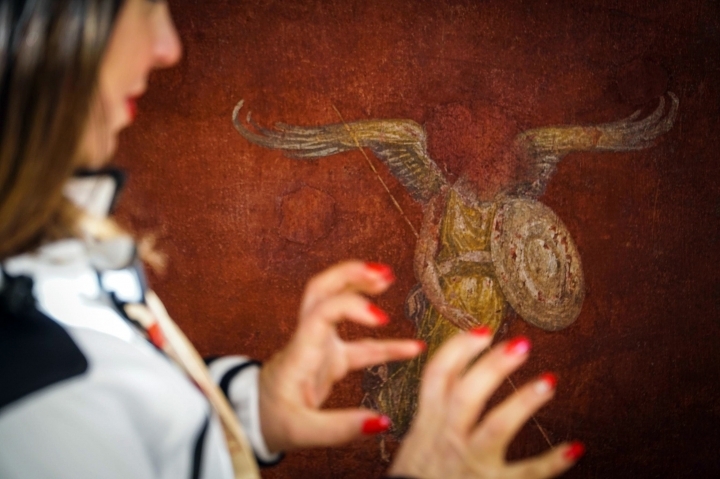 Experts will explain their painstaking restoration of frescoes that decorated the site where gladiators trained before combat in the ancient Roman city. Its opening was hailed by Italy's culture ministry as the "symbolic place of Pompeii's rebirth," following years of dismaying news that various ruins had crumbled amid modern-day neglect of the sprawling, once-flourishing city that was destroyed by the eruption of Mount Vesuvius in 79 A.D. The building, which has been previously excavated some 100 years ago, had also suffered heavy damage from World War II Allied bombing. A few years later, reinforced concrete was used to build a protective cover. A park statement said prosecutors investigating the 2010 collapse didn't pinpoint responsibility. But it said there were several "probable" interlaced factors that were aggravated by days of heavy rain. Those factors included probable malfunction of a drainage system, the weight of the postwar addition of cement and iron and "lack of a planned system of monitoring and maintenance." Restoration work after the collapse did, however, bolster knowledge about the building's use, with archaeologists saying it appears to have served as a home to an ancient military association, which sometimes hosted banquets there. Excavations carried out in part to shore up the structure revealed areas, apparently used by servants, to prepare for such banquets, as well as amphorae, or storage jugs, containing oil, fine wine and fish sauce imported from Crete, Sicily, Spain and Africa, the archaeological park said. 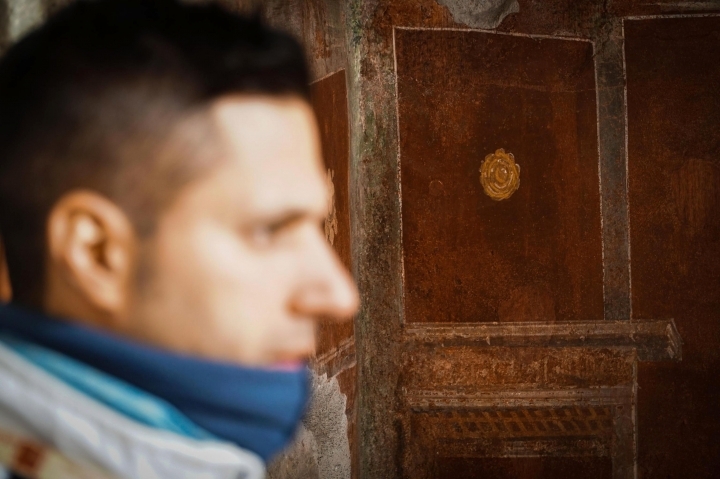 Several other recent finds point to better days for the popular Pompeii tourist site. Among the more recent discoveries, the remains of a harnessed horse were found in an excavated stable of what was an ancient villa on Pompeii's outskirts. 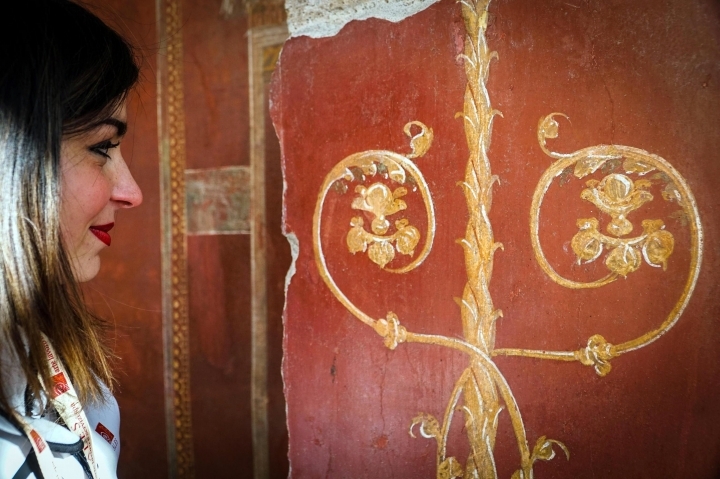 Other excavations have found well-preserved fresco decorations. 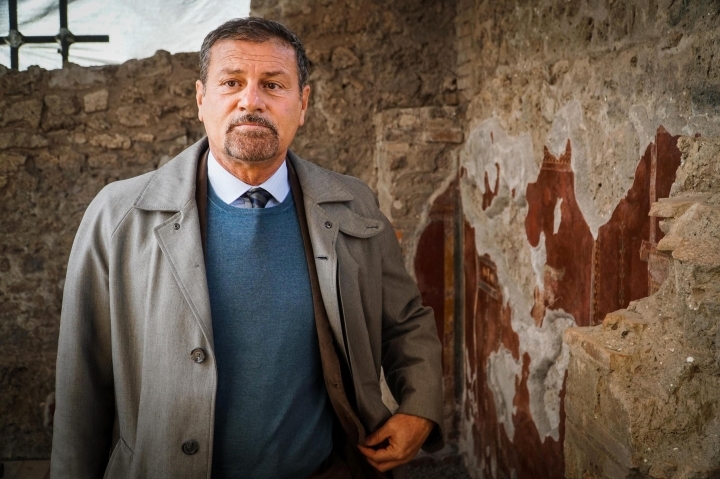 Massimo Osanna, director of the Pompeii archaeological site, said the archaeological park would concentrate on scheduled maintenance in hopes of preventing similar collapses. "The time for extraordinary maintenance and restoration is over. Now the time for scheduled maintenance begins," Osanna said. In 2013, Italy's government approved the appointment of a special superintendent to ensure that millions of euros in government and European Union funds for maintenance and restoration of the archaeological marvel and tourist site would be properly spent. A rash of collapses of structures in ancient Pompeii had sparked concern about Pompeii's future. Days after the gladiators' training facilities crumbled into fragments, a stretch of garden wall ringing the ancient House of the Moralist gave way after days of torrential rain. Italy's national budget has long skimped on funding for ordinary maintenance and protection of its vast artistic, architectural and archaeological treasures.